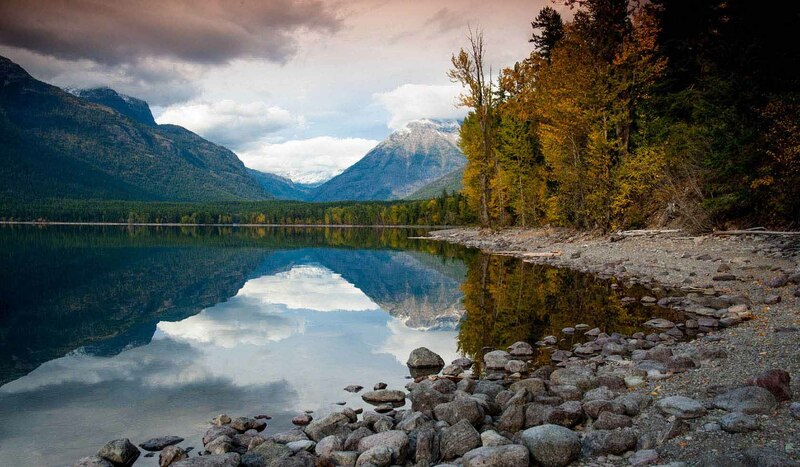 Lake McDonald is Glacier National Park's biggest lake; ten miles long and 472 feet deep. 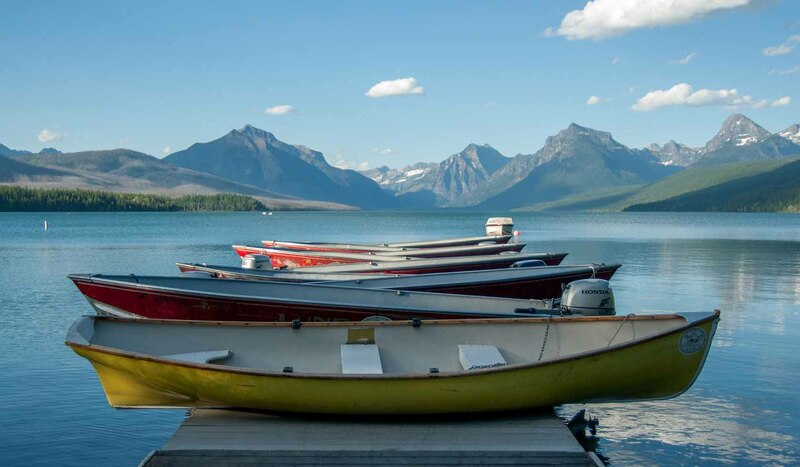 Filling a basin gouged out by Ice Age glaciers, Lake McDonald is a classic glacial feature. This long fjord-like lake is surrounded by mountains on the north, south, and east with the Continental Divide, 14 miles away. The mountains provide a spectacular backdrop for the lake and also act as a rain block. Much of the blocked precipitation ends up falling on the McDonald valley. The result is a mild, damp climate. 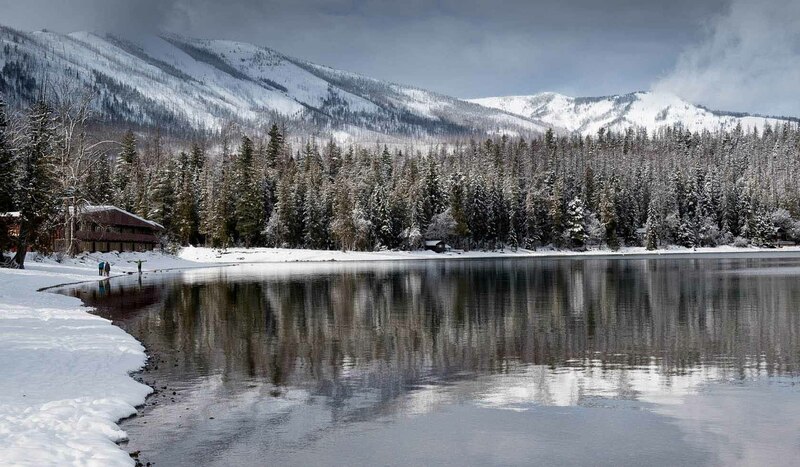 Stands of western red cedar and hemlock flourish in the valley of Lake McDonald. The wildlife-viewing here can be spectacular, with species including bighorn sheep, mountain goat, elk, black bear, and whitetail and mule deer. Lake McDonald is located off U.S. Hwy 2, a short distance from the west entrance to the park.